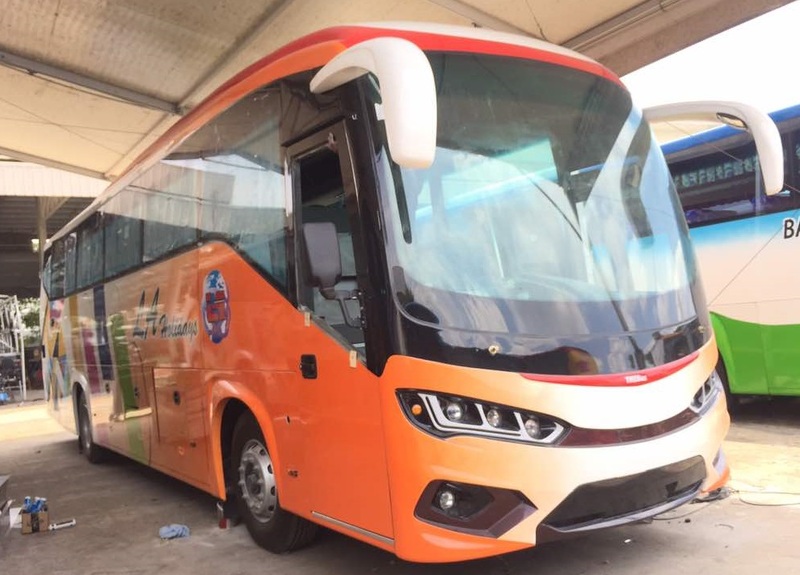 LA Holidays is new brand express bus company in the market. 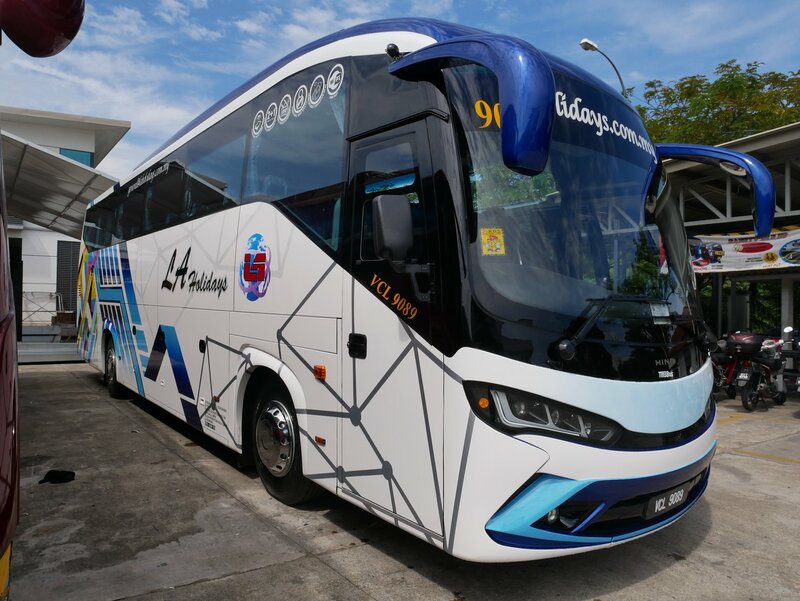 However, they are not new in the market because they have been the partner of KKKL managing KL to Singapore, Genting to Johor Bharu and Johor Bharu to Genting routes. From their track record partnership with KKKL, it shows that they can provide excellent and safe bus service to passengers. 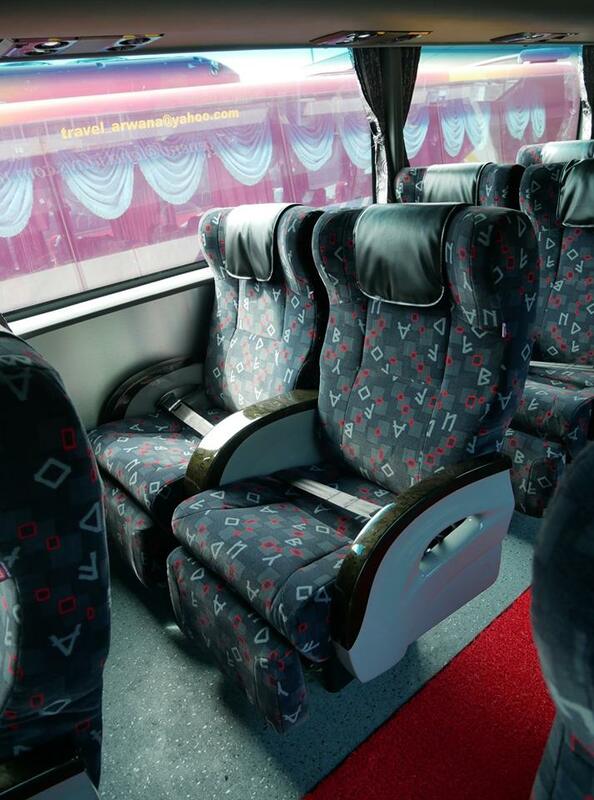 LA Holidays have launched their maiden bus service between Kuala Lumpur and Kuantan. KL to Kuantan is departing from Terminal Bersepadu Selatan while Kuantan to KL’s departure point is at Terminal Sentral Kuantan. These routes are operating under LA Holidays own brand of coach fleet as shown in above picture. LA Holidays expanded their service by providing bus service between KL TBS and Temerloh, and between KL TBS and Jengka (or Bandar Tun Razak). All the while, the bus service to Temerloh and Jengka are from Pekeliling Bus Terminal. However, LA Holidays chooses to provide the service with departure from Terminal Bersepadu Selatan TBS. 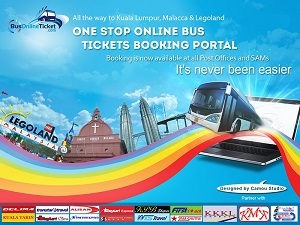 Lately LA Holidays add on more new services to their routes by providing bus service between KL TBS and Bandar Penawar, and between KL TBS and Sungai Rengit. One of the highlight of LA Holiday coach is that they offer Free WiFi and USB charging port. These serve the convenience for passnegers who need to charge mobile or laptop during the journey. There are few more services coming up from LA Holidays in next couple of months.